UPDATE: THIS GIVEAWAY IS NOW CLOSED! Congratulations to Trixpixel for winning! 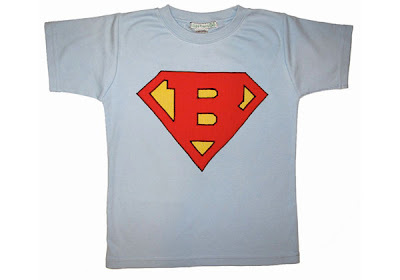 The Super Hero Initial T-Shirt by liliputians-NYC is very stylish and trendy. The material is soft and comfy and washes easily. These clothes are all handmade, truly boutique pieces. I believe the designer describes them as "heirloom quality rarely seen today". I liked the t-shirt very much, but frankly I could not afford to spend that much on a piece of clothing for my child, let alone myself. 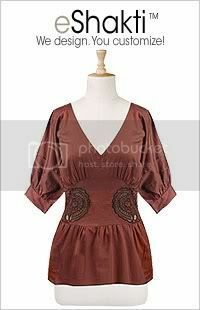 The clothing items are pricey, but keep in mind many pieces are "one-of-a-kind". I suppose if there is a nice coupon code out there to help with the cost, it could be worth it. There is lots of cute stuff to consider! Win one applique birthday shirt of winner's choice! Choose from the boys selection . . .
or the girls selection . . . 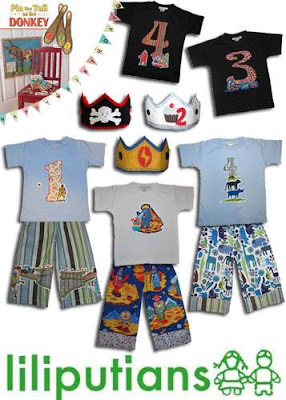 Simply tells us what birthday your little one is celebrating this year and the shirt your would choose. Must have a name and email (a way to contact the winner). I like the brown long sleve shirt with pink dots on the number 4 for my daughter. My little girl is turning 3. I'd love the BIRTHDAY ICE CREAM CONE SCOOP Birthday Shirt! I've suscribed to your feed. My Jane is turning 5 & I just love the Birthday Jungle Zoo Animals. 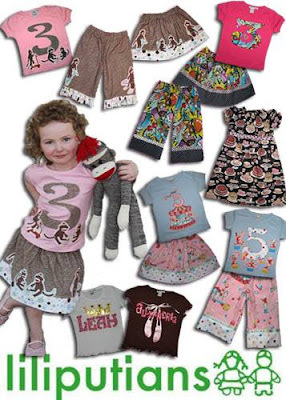 My little girl is turning 5 on October 5th, she would love the pink shirt w/ the monkeys. My nephew turns 2 and I would love get this for him! I would choose the BIRTHDAY CUPCAKE DOTS shirt for my daughter who will turn 4 next May. My youngest son is celebrating his 4th birthday on October 26th! I would love to get the SOCK MONKEYS at PLAY Blue Birthday Number Shirt for him because he is all about monkeys! My daughter will be turning 1 on her next bday and my son will be 3..so either would be great! Would love the BIRTHDAY CUPCAKES & DOTS in PINK & BROWN for my niece who turns 1 in April! Pink & Green Birthday Shirt! I would choose the personalized princess shirt as my little girl will be 2 on her next birthday! My little man is celebrating is 2nd birthday this year. I'd choose the monster trucks shirt. He'd love it! Birthday Outfit shirt for him! Mine will be turning 2. I think the BIRTHDAY CUPCAKES & PASTEL STRIPES is real cute. Birthday Shirt because it is the first boys shirt I've ever seen with a cupcake..awesome! BIRTHDAY CUPCAKES & DOTS in PINK & BROWN in age 5... OMG my little baby is going to be FIVE!!! How adorable, definitely the BIRTHDAY CUPCAKES & DOTS in PINK & BROWN Applique Shirt. Jack's gonna be 7 this year! Cute! My daughter is turning 3 and I would either get her the SOCK MONKEYS or the BIRTHDAY CUPCAKES & HOT PINK STRIPES. I have one turning 4 this year. I love the birthday who owl shirt for my soon-to-be 4yr old daughter. My little niece will be 2 in November. It think that the Birthday circus t-shirt is just cute. My daughter turned three at the end of June. My little one is turning 3 and I would choose the birthday dots in fuschia! My son just had his second birthday, so I'd get the BIRTHDAY DINOSAUR DRAGON with FLAMING CUPCAKE for his 3rd birthday. Thanks!